Internet safety awareness is more than a practice—it's a mindset. It's a way of safely and proactively living, working, and playing in a digital world. While vast and exciting, the Web is also unregulated. Unfortunately, many who use it don't practice respect and responsibility like the digital citizen does. That doesn't mean that we still can't keep our students and children safe. Learning how to keep safe online is also a big part of being a Global Digital Citizen. We've got some tools for you to check out below. These are some fun and interesting games and apps for teaching Internet safety awareness. NOVA has joined forces with cybersecurity experts to create its Cybersecurity Lab. This is a game where players discover how they can keep their digital lives safe. 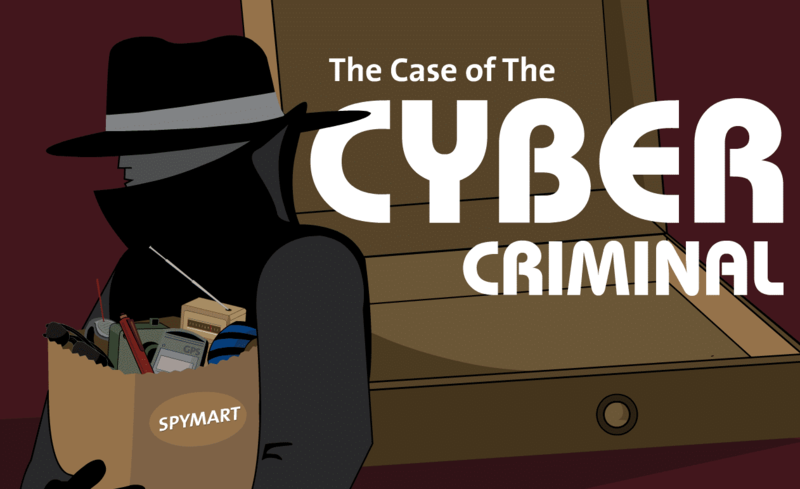 The game helps players develop an understanding of the common cyber threats that exist online and their defenses. This game is a followup to Digizen's cyberbullying film Let's Fight It Together. It takes place in the same school featured in the film. You can experience a day at school with Joe, the main character, and make decisions about how to help him with facing cyber bullying. The game teaches you to be a responsible digital citizen and to find out more about Internet safety. Diana Graber and Cynthia Lieberman have applied their state-of-the-art education and 40+ years of combined entertainment/media experience to create Cyberwise. This is a website focusing on digital media for kids. They have a great list of online games for helping kids learn all about the ins and outs of Internet safety awareness. A techie spy and his cunning crew are out to get your personal information. Stop them cold by proving you're ready to protect yourself online. Test your knowledge by answering questions about keeping yourself safe from online theft. The game is available for download or you can play it right indoor browser. CommonSense Media are heavy hitters in the field of digital citizenship. The Digital Passport continues their tradition of excellence. Aside from top-notch class activities and modules, the program features unique Internet safety games kids will love. The Carnegie Cyber Academy trains its cadets complete several training missions to equip them with skills they need to be good cyber citizens and Cyber Defenders of the Internet. PBS Kids puts young kids through their Internet safety paces in the Webonauts Internet Academy. Webonauts teaches kids to make responsible and respectful decisions in all online interactions. The game has a series of missions focusing on web safety and qualities of a good digital citizen. The Digital Citizenship app from Learning.com teaches grade 6–9 students how to be great digital citizens. They'll learn Internet safety, ethical resource sharing, guarding against cyberbullies, and more. This app also includes a built-in reporting feature that helps administrators meet the online safety and cyber bullying instruction requirements for E-Rate funding. Digital Compass is a choose-your-own-adventure interactive app for iPad and iPhone. It lets students step into the shoes of one of eight characters to experience the twists and turns of daily digital life. The app has been developed for grades 6–9 and is available in both English and Spanish. WebSafety is available for iPhone and iPad. Parents can monitor potentially harmful content or interactions occurring on their child’s mobile device using this app. You can monitor all incoming information through a secure WebSafety account.